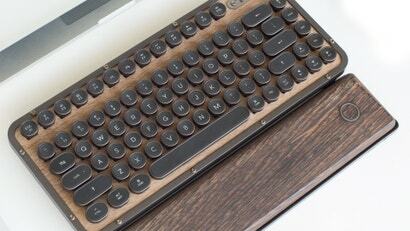 Last year keyboard maker Azio introduced the Retro Classic, a full-size luxury keyboard sporting typewriter-style keys and a real leather finish. Now the company is back with the R.C.K., a streamlined mechanical keyboard with a compact layout and Bluetooth support. There’s even a genuine walnut version. 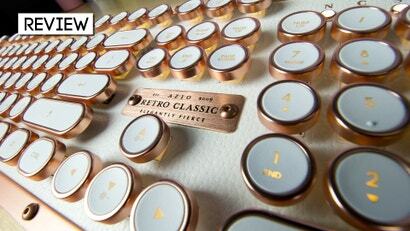 Inspired by the old-fashioned typewriter and designed with luxury in mind, the Azio Retro Classic is a mechanical keyboard sporting rounded backlit keycaps, a zinc aluminium alloy frame and a genuine leather base. The nameplate says "Elegantly Fierce." It's not wrong.